SAS is well known for it’s history in high capacity, long-term reliable audio routing. Today, the tradition continues with the 32KD, a 10 RU modular routing system with high capacity I/O and cost-saving, compact design. 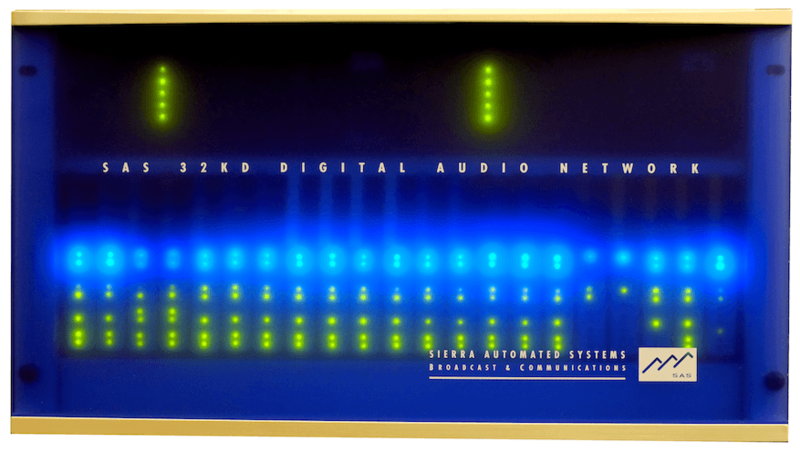 The 32KD provides a backbone for the SAS digital audio network with modular AES, Analog and Dante AoIP cards; numerous DSP engines; audio and power redundancy. Numerous 32KD frames can be combined to provide hundreds of thousands of routable I/O. The 32KD is effectively utilized in TV and Radio broadcast, surround sound live stage performances and in high volume venues such as football and soccer stadiums.